I'm sure most of you will be aware of RM user Wertp72's excellent collection of Rangers pics http://imageevent.com/wertp/. It has to be the best collection I've seen anywhere on the Internet, and we should give credit when using the pics. When we use an image from this site, please make sure to add a link at the bottom of the page you use it on, in the Externl Links section, with a little message detailing that images were used. 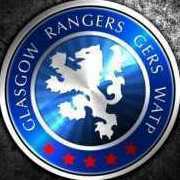 We should also make a page in the Supporters section under Rangers sites, giving a bit of information about Wertp72 and her site.